Singer, Brother, Janome, and other popular brands have been here for a long time. They have built their reputation by producing high-quality, durable, and innovative sewing, embroidery, and serger machines. Compared to these brands, Baby Lock sergers and sewing machines are relatively new. Baby Lock stepped into the market of sewing machines with a portable, lightweight serger but now it has evolved to become one of the most popular sewing machine brands in the world. 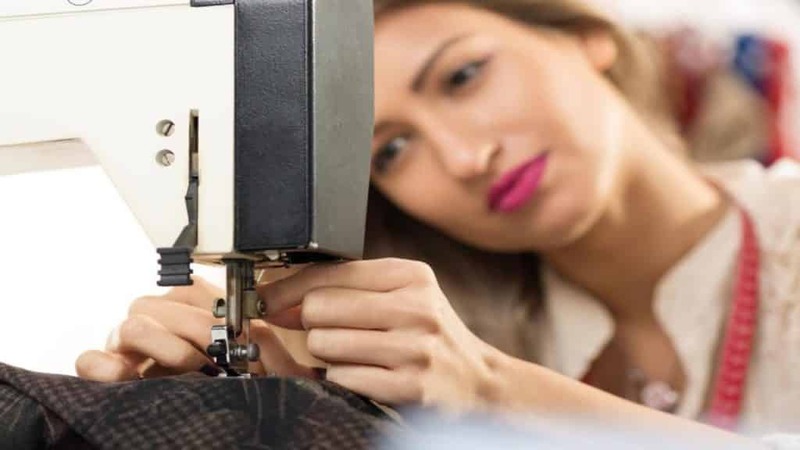 Although Baby Lock has been on the scene for less time than other popular brands, the sewing machine and sergers of this company have made their mark on the market. The Jet-Air and ExtraordinAir threading system remove the anxiety and drudgery from serger threading. The most dreaded aspect of serging isn’t a concern anymore, thanks to the fine merger of technological know-how and love of sewing. The Baby Lock Jet-Air and ExtraordinAir threading system allow home sewers to easily their serger by touching a button. Baby Lock sewing machines compare with those of the best brands. If you are thinking about getting yourself a Baby Lock sewing machine, you’ll be glad to know that there are plenty of options available to choose from. Since there are many Baby Lock sewing machines available, it may be hard for you to find the one that is best for you. To help you find the right machine, we will take a lot of some of the best baby lock sewing machines currently available in the market. This sewing machine is perfect for those who want to combine their love for sewing with exceptional creativity. Baby Lock Unity is an embroidery and sewing machine that possesses several advanced and innovative features to make sewing easier for professionals and hobbyists. Imagine what you can do with the 266 embroidery stitches and 537 built-in stitches. 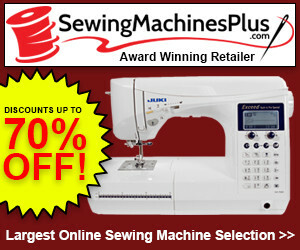 You will be able to achieve a lot more than what’s possible with an ordinary sewing machine. Follow the bobbin winding and threading guide to set up the Baby Lock Unity and get to sewing. When you turn on the sewing machine, the touch screen LCD will provide you three options – embroidery, embroidery editing, and sewing. Choose any one and unleash your creativity. The Baby Lock Unity comes with an automatic threader and two USB ports which allow you to upload more designs into the machine. So, you won’t be limited to 266 embroidery stitches, although they are more than enough for many projects. The Baby Lock Unity machine could be an ideal choice for you if you are looking for a machine that you can use for both sewing and embroidery. The Baby Lock Aria is one of the most popular sewing machines from the Baby Lock brand. It is a machine designed specifically for quilters. Baby Lock Aria gives you all the space you need to enjoy problem-free sewing without any hassles. It comes with 573 built-in stitches that are extremely strong and can even sew through the upholstery. The automatic threading system is also there which means you don’t have to worry about wasting your time in threading a needle. The Baby Lock Aria comes with an on-board thread cutter and a reverse sewing option. The start/stop button is there for your convenience and stitch selection is extremely easy thanks to the bright LCD screen. The Baby Lock Aria also gives you the option to create your own stitch patterns, save them or delete them from the sewing machine’s memory. The spacious workspace will allow you to take on complex projects. A storage compartment is also available that you can use to store your sewing accessories. You would love the stitch quality of this machine and the five built-in alphanumeric fonts that you can use to express your creativity. The Baby Lock Ellismo is a top quality sewing and embroidery machine designed for professionals. This machine has almost all the features you would need for sewing, embroidery, and quilting. It seems as if Baby Lock has put everything it had into this one machine. You can make minor mending, create attractive designs, perform elaborate sewing and carry out top-of-the-line quilting work; it is all possible with the Baby Lock Ellismo Gold 2. The Baby Lock Ellismo Gold 2 comes with 683 built-in stitches, 57 needle positions, and 617 embroidery designs. You also get automatic drop feed, adjustable stitch width up to 7mm and stitch length up to 30 mm, stitch lock key, stitch editing capabilities and on-board application guide. The Trueview LCD screen allows you to easily edit designs while the bright LED light keeps your workspace illuminated. The Baby Lock Ellismo Gold 2 also comes with USB connectivity so you can upload more designs if you want to. The Baby Lock Aventura comes with easy to follow instructions and guides which make it easy for beginners to understand all aspects of this Baby Lock sewing machine. If the embroidery unit is attached, you won’t be able to do sewing. If you want to sew, then the unit has to be detached first. For safety, unplug the sewing machine from the power source before detaching or attaching the embroidery unit. The Baby Lock Aventura comes with advanced features, so it will take some time for beginners to get used to it. The built quality of this machine is excellent and it gives high-end finishing results. The Baby Lock Aventura comes with 300 built-in stitches, 90 exclusive Baby Lock designs, 141 embroidery designs, 13 font styles, and 5 built-in alphanumeric fonts. The stitch length is adjustable up to 7mm. The clear LCD screen allows you to select any design you want and frames can be combined with designs for embroidery. The maximum speed of the Baby Lock Aventura is 850 stitches per minute. This Baby Lock sewing machine has a fabric sensor system that detects the fabric placed underneath the machine. The powerful, but quiet motor allows you to carry out sewing and embroidery work without creating too much noise. One downside of the Baby Lock Aventura is that adjusting stitch width and length is a bit difficult, even for the most experienced sewers. Other than that, it is a great Baby Lock sewing machine that we would definitely recommend to beginners. The Sofia 2 is another great Baby Lock sewing machine. You would love the in-built stitches on this sewing machine and the bright colored LCD touch screen that gives you complete control. The Baby Lock Sofia 2 comes with an automatic needle threader, 168 built-in stitches, 70 built-in embroidery designs, 6 alphanumeric fonts, and needle plate with seam guide. The USB port allows you to upload more designs into the Baby Lock Sofia 2. You won’t have to worry about arriving at the perfect seam. The seam guide is there with clear markings in both centimeter and inches. Adjusting the length and width of the stitch is also easy. The Baby Lock Audrey has an LCD screen for showing stitch numbers and you can select the utility stitch of your choice using the push buttons. You can also choose a slower stitching speed, reverse stitch, and program the needle of the sewing machine to stop in the down or up position. Green lights on either side of bright LCD screen indicate the stitch width and length settings. The Baby Lock Audrey also features a selection guide for identifying decorative stitches. This can be found beneath utility stitch buttons. An on-board accessory storage space is also there. When you remove this, you will see a free arm and drop-in bobbin that makes it easy for you to determine the thread available. The Baby Lock Audrey features an on-board needle threader and variable speed control. Threading the sewing machine and winging bobbin is easy. All you have to do is follow the guides on the front and top of the sewing machine. The utility stitches can be selected by push buttons. You may find the process of selecting stitches a little cumbersome as buttons must be pressed up and down several times before you reach your desired stitch. The quality of stitches you’ll get from the Baby Lock Audrey is good, but not excellent. The stitches are tight and secure, but they don’t compare to what you get from other Baby Lock sewing machines. One of the things we don’t like about the Baby Lock Audrey sewing machine is that it’s a bit noisy. Other than that it is a great Baby Lock Sewing Machine packed with good features. The Flourish is another top-of-the-line Baby Lock sewing machine that’s perfect for embroidery work. This machine comes with a colored LCD touch screen, automatic needle threader, and automatic tension control. Lower and upper thread sensors will allow you to complete complicated embroidery work with fewer interruptions for changing thread. Function keys, like needle up/down, start/stop, thread tie-off and cut, and presser foot up/down, are situated on the sewing machine’s head. Other function keys include a key for managing preset functions, help key, embroidery key, and next/previous screen keys. The Baby Lock Flourish has a USB port that you can use to transfer more designs into the sewing machine. The embroidery unit of the machine is removable so you can detach it when you want to sew. The bobbin winding and threading process on the Baby Lock Flourish is easy. The on-board guides clearly indicate how to go about threading and bobbin winding and even a 5-year-old child can understand the instructions. Baby Lock Soprano comes with an advanced needle threader, thread cut and tie off, start/stop button, automatic needle threader, needle up/down, adjustable stitch width and length, two bright LEDs, knee lift, free arm, drop feed, memory keys, on-board accessory storage, and on-board seam guide on the bobbin cover and needle plate. The monochromatic LCD screen is great for people who have carpal tunnel syndrome. The Baby Lock Soprano BLMSP features 300 on-board utility and decorative stitches including 94 decorative stitches, 99 utility stitches with 10 1-step buttonholes, 17 satin stitches, 14 cross stitches, 18 decorative satin stitches, five alphanumeric fonts, and 58 combinable utility stitches. You can edit the stitches to match your requirements. The Baby Lock Soprano BLMSP is a solidly-built sewing machine and doesn’t make a lot of noise. Not only that, but you won’t feel any vibration while working on this sewing machine. You would love working on it and the advanced features of this Baby Lock sewing machine will help you complete projects within the deadline. Stitch selection in this machine is easy. First, you need to identify the stitch you want to use and then find out which menu category it’s stored in. Baby Lock is a popular brand that has made its name by producing high-quality sewing machines and sergers. You wouldn’t regret buying a Baby Lock sewing machine as most of them come with advanced features and are durable. We have reviewed the best Baby Lock sewing machines currently available on the market to help you choose the one that best suits your need. Now, you just have to compare the features, functions, and capabilities of these machines to decide the one that is right for you. Carefully study the features and functionality of the Baby Lock sewing machines mentioned above. Then, once you have made your decision, get yourself a Baby Lock sewing machine and enjoy sewing.